15 x 32mm flat Tulipwood chevrons painted in Farrow & Ball colours. 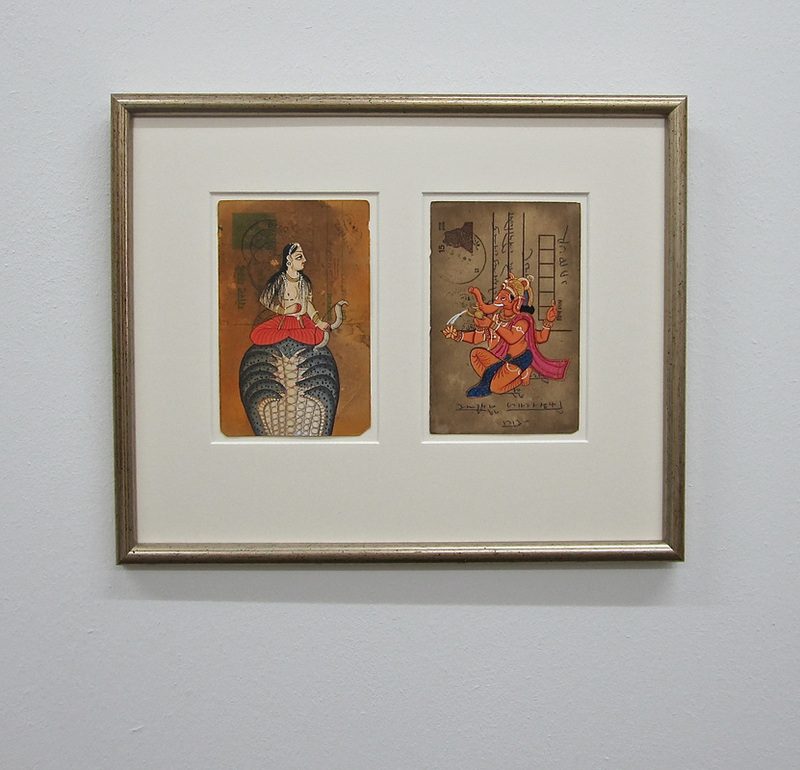 The bottom one is a 10 x 32mm Tray Frame sample painted using white 'buttermilk' emulsion. ​Tulip, Obeche and Pine are excellent for staining or painting. For painted frames we use the range by Farrow & Ball plus an earth pigment paint which has a gesso like surface called 'buttermilk' paint - great for white frames. Maple, Tulipwood and Ash also benefit from a white stain and then finishing with Lime wax. We do not do spray paint finishes. Sprayed wood frames, as opposed to welded metal, have a tendency over time to crack along the mitre joint and can only be repaired by re-spraying. This is costly and time consuming, in contrast cracks and scuffs are easy to repair with hand painted frames. 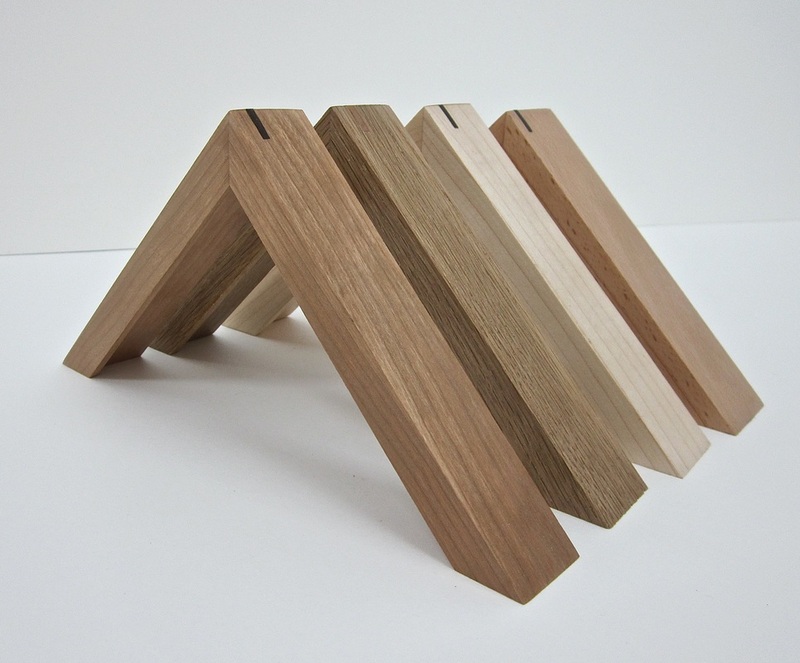 Cherry, Oak, Maple and Steamed Beech chevrons with splines. The dark splines are Wenge, the Oak has a Cherrywood spline. We specialise in natural wood moulding and carry profiles in Oak, Ash, Cherry, Tulip, Beech, Walnut, Wenge, Sapele, Obeche, Maple and Pine in a range of profiles. The addition of a wood spline in the corner strengthens the join and adds a nice decorative touch. 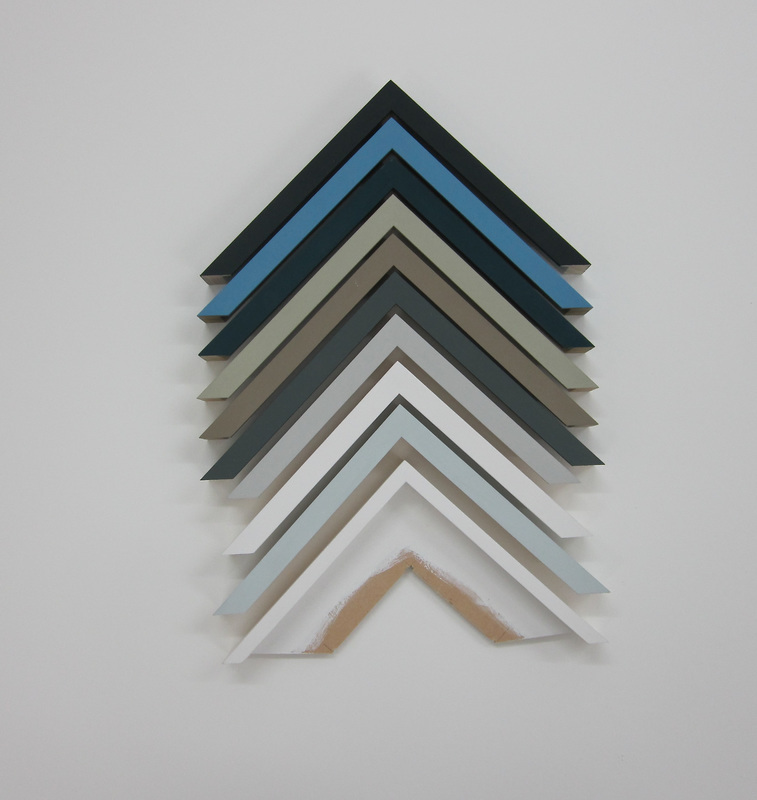 Some moulding can be customised, we do this mainly for tray frames. We also carry a select range of pre-finished moulding, this example is a 14 x 13mm in matt black. 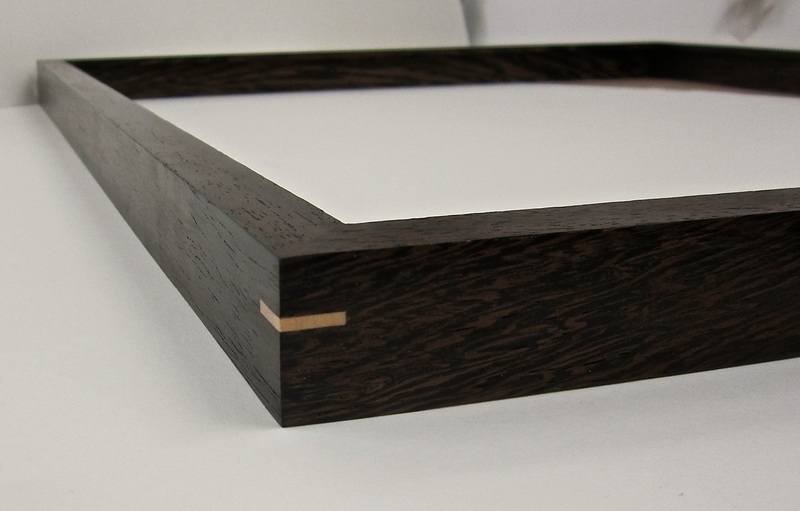 This is perfect for those who do not require a hand finished frame. 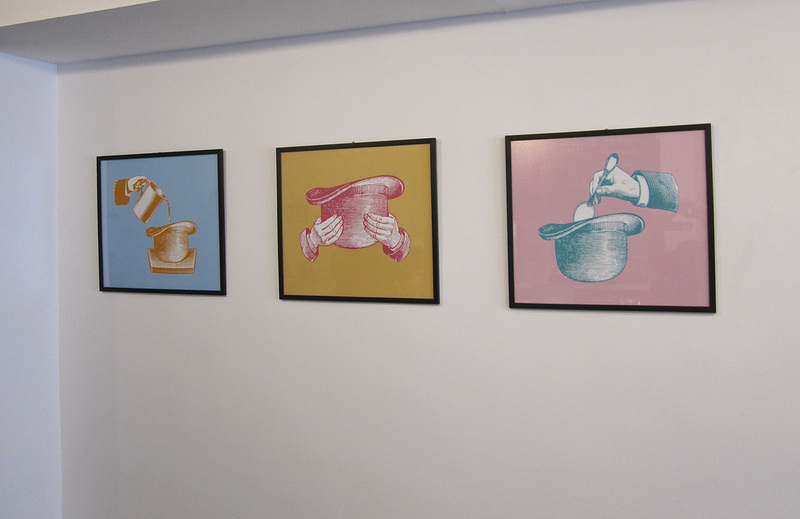 The frames shown here are for Sloane Brothers Frozen Yoghurt, 214 Brick Lane, London E1. Another example of a pre-finished moulding.